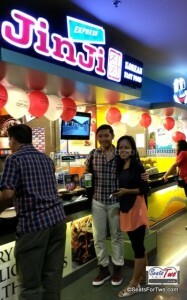 Last February 14 was a different kind of Valentine’s Day with the wifey. 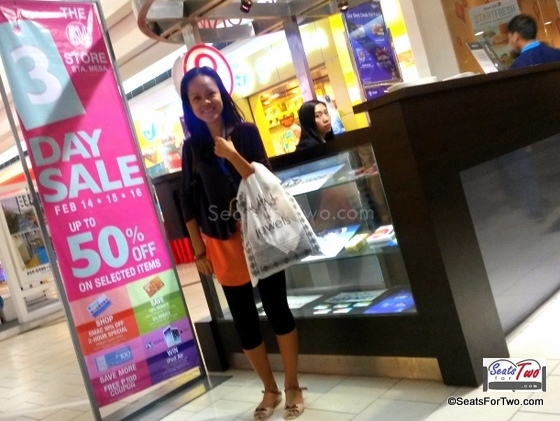 We started the day with a shopping spree at SM City Sta Mesa 3-Day Sale! 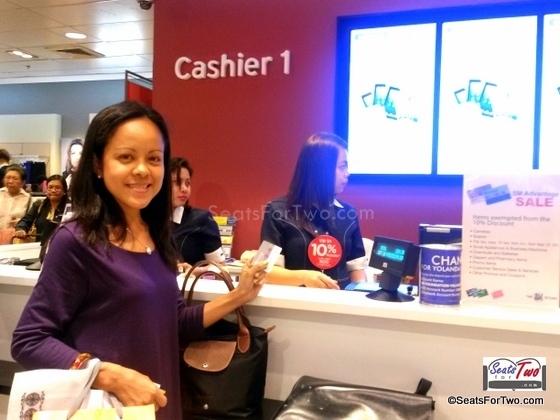 After breakfast, we took a taxi cab going to the nearby SM City Sta.Mesa mall. By 11am, we joined the fray. 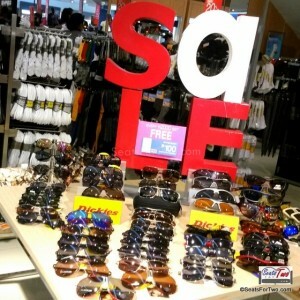 Sale discounts vary from 10% upto 70%. 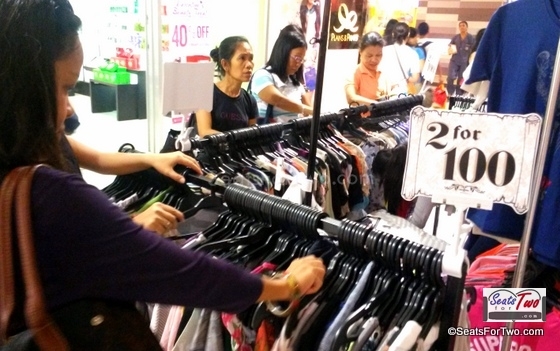 Wifey made the first purchase from Jewel’s apparel which has good deals as low as 2 for P100. On the other hand, my first purchase was from Mint. 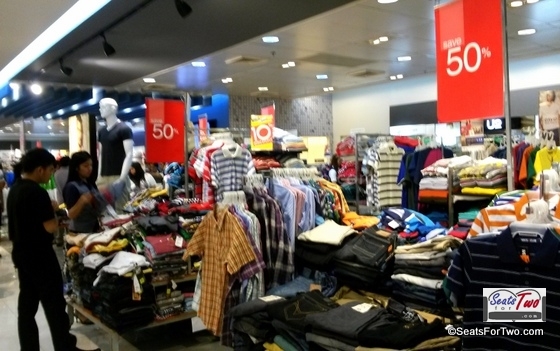 I bought 2 awesome shorts and one checkered long sleeve for only Php 1000. 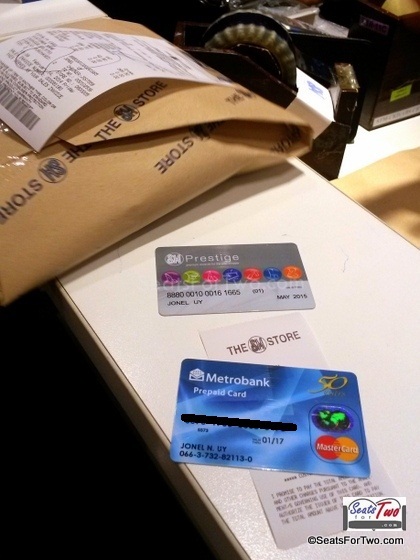 I even used my new Metrobank Prepaid Card. 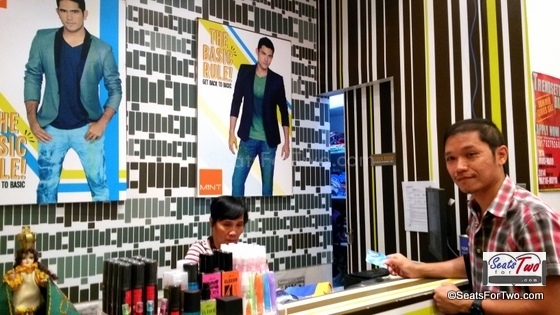 It’s not a credit card, nor a debit card; it’s a prepaid card which is safer and more convenient because it’s not connected to your bank account. 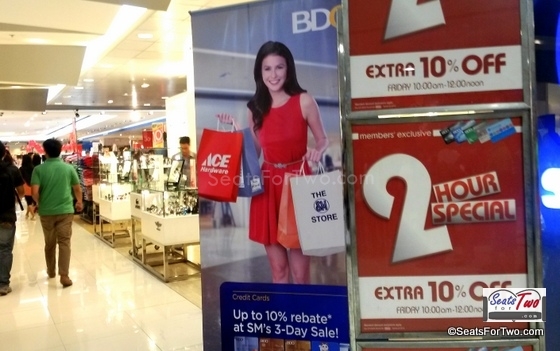 If there’s one thing we missed, it’s the extra 10% off from the SM Store before 12nn. 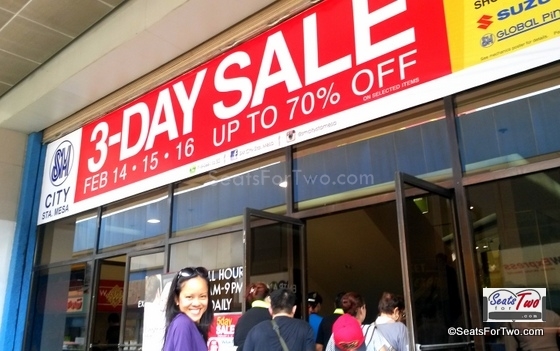 SM always does this on the first day of the 3-day sale from 10am to 12nn. We got to the store a little before 12 noon but we didn’t make it. 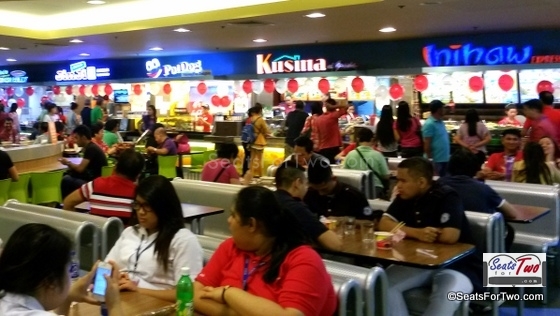 We went down to the basement level where the SM Foodcourt is for our lunch break. We choose to dine at Jinji Express where I ordered a Bibimbap while wifey got a bowl of ramen. 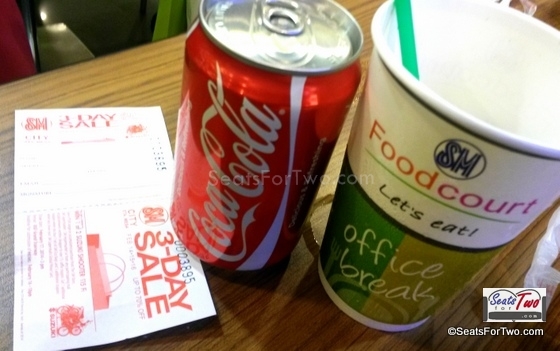 We were then informed by the tenant that our purchase, which exceeded Php 150, is entitled to a free can of coke. I redeemed mine from the SM Foodcourt beer station. 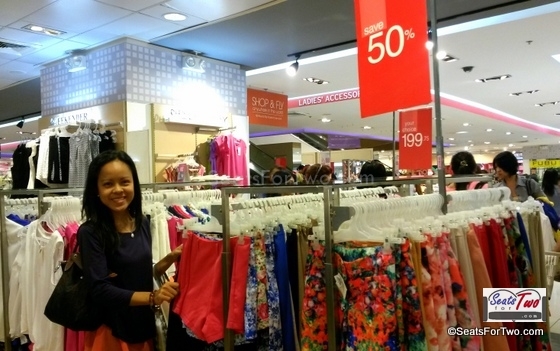 After the filling meal, we went back to the SM Store to continue shopping. 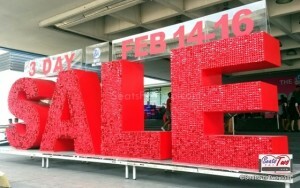 By mid-afternoon, we were already done and we left for SMX Convention center for a travel fair. The SM Sta. 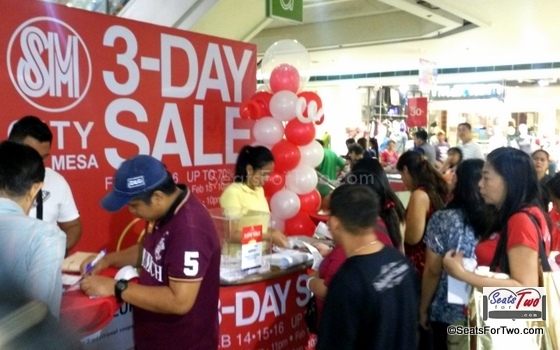 Mesa 3-Day sale went on until February 16, 2014 where two units of suzuki motorcyle were also given away to lucky customers. The PUP Dance Squad also did a flash mob on Feb 15 while DJ Danny of MOR 101.9 were also there to perk up the crowd. 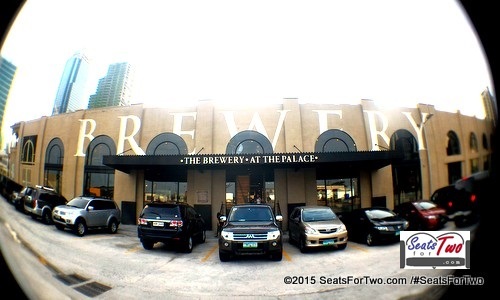 Seats For Two hope we can visit another sale season in SM City Sta.Mesa. Haha, I was there too!